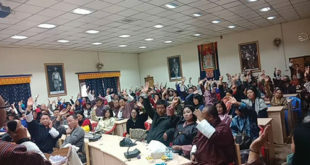 With both the Speaker Jigme Tshultim and Home Minister Lyonpo Minjur Dorji convicted under criminal charges by the Mongar district court the two candidates may not be allowed to contest in the 2013 race. This is because both the Constitution and the Election Act debars anyone who has been convicted for any criminal offence and is sentenced. 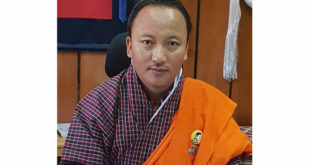 The Mongar Court Judge in a telephone interview confirmed that both the Speaker and Home Minister had been convicted under criminal charges filed by the Anti Corruption Commission and accordingly sentenced for imprisonment. He added that the Prison term, is a bailable one. The Home Minister, Minjur Dorji was charged for the offence of official misconduct while the Speaker has been booked for official misconduct, fraud, forgery, and deceptive practices. The final decision on disqualification is to be taken by the High Court and Supreme Court based on an election petition filed in line with the Election Act. Section 7 in short refers to Election laws made by the Parliament like the Election Act of Bhutan that governs the conducting of Elections in Bhutan and also the Election Commission of Bhutan. The Election Act also lays out a disqualification criteria which may apply in the case of the Speaker and the Home Minister. The key word here is ‘felony ‘ which means a prison sentence of over three years for which there is no bail. If only this section were applied ignoring the above sections then the Speaker and Home Minister technically could claim that they were not charged for a felony and so can contest the elections. A sitting Judge that the paper talked to said that though various provisions were there the interpretation had to be made by the High Court. Currently though charged criminally the Speaker and Home Minister come under the misdemeanor category which is bailable with a minimum sentence of a year and a maximum of less than three years. However, this still means a criminal conviction. An Election Officer explained that as per the Election Act all candidates as part of their registration process would have to bring in an affidavit from the courts saying that the candidate has not been criminally convicted or does not have an ongoing criminal case. This affidavit would not be given in cases where people had been convicted for criminal cases. The ECB declined to officially comment on the eligibility of the Speaker and the Home Minister. In earlier interviews with the paper a senior ECB official had confirmed that the Speaker and Home Minister would not be allowed to contest if they are criminally convicted. However, in 2009 the High Court set a precedent of disqualifying some Gups from participating in the Gup elections for some misdemeanor charges. Forget about rerun, they should be sitting in Jail. The jail term handed over to them is too lenient. This paper did all these to disqualify these two candidates from contesting next election and perhaps it is successful!!! Big Congratulation!!! This paper knew that case is not so sever (as confirmed through verdict that it is just misdemeanor ) but there were lapses which could at least disqualify these two candidates. And i am sure this paper must be celebrating!!! i won’t be surprised even if this paper closes down after this verdict or perhaps after election as their mission is almost accomplished!!! Are you the relative or Supporter of This Two Corrupted Leaders. 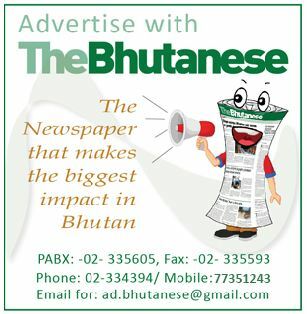 The Paper has brought light to the people of Bhutan How Corrupt Leader we have in our Country. 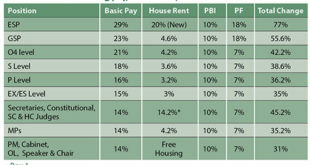 This is high time that Those Rootten and Corrupted Leaders to throw out from their post. They will eat the country. This paper may cel;ebrate but it is not the end of these two candidates’ lives! They still have time and means to proof otherwise! The accused civil servants would be terminated without benefitis as per rcsc, what about speaker n Home minister, looks like they will get it. Mr Gara, You are too short sighted and have not gone beyond the two Minister and god father is still at large and will take some more years to solve this issues. Yes they can recontest in 2013 election, because their conviction is misdemeanour and not felony. So do not feel funny and alarmed! I do feels sorry for the other committee members. Dzongkhags used to be run by the Dzongdas as if they wee Kings. Jigme Tshultim, Lhakpa Dorji (jack) and Pem L Dorji (Habu) , they are by nature big bullies with bloated egos. They literally ran the Dzongkhags as Hitlers. Lhakpa killed a monk and got away with it and Pem Dorji got away with Phobjika land scam. Those committee members, I am sure didn’t see the list of people until Dzongdas decided who would get the land. They were ordered to sign the document. Like Demat said apart from above Dzongdas, There is Paro Dzongda behaving like Hitler and bullying the Lama,Khenpo and Public.At one time he had clash with one of the staff and was trying to manhandle him.Lucky that he didnot raise his hand otherwise he would have got counter kick to his shamu/mole and eyees. Instead of bullying , he should be concentrating on the land disputes , Cleaning up the mess and win the hearts of Paro. Otherwise, in democratic world, no body will tolerate the dictatorship and violation of constitutional rights. whether there may b the law that they can contest for next election but if i m in their position i can’t com again for contesting for showing corupted face and corrupted mind. i wil feel ashame of doing blunder of intention and gve the chance to other justice people. But two blunder may come 2 contest for doing another blunder of intention. i advice not to contest again bcoz there r many capable people than them who can contest. we don’t regret for not having useless and corupted men instead we would b happy 2 hear that they r gone 4rm region of corruption.